Manoj S. Abraham takes on materialism, superficiality and the need for fame in his bestselling debut children’s book. With a timeless message that children can understand delivered in simple language and rhyming verses, Manoj’s writing style has drawn comparisons to Dr. Seuss. Sam is an inquisitive little boy who is full of questions inspired by his friends, television and surroundings. In this book, he talks to his parents about the kind of person he should be. To his surprise, he learns that the things he should be are already well within his reach. In January 2013, Sam’s Three What-Ifs was selected by Apple’s book editors as one of their favorite titles and was featured in their Beautiful Kids’ Books promotion. 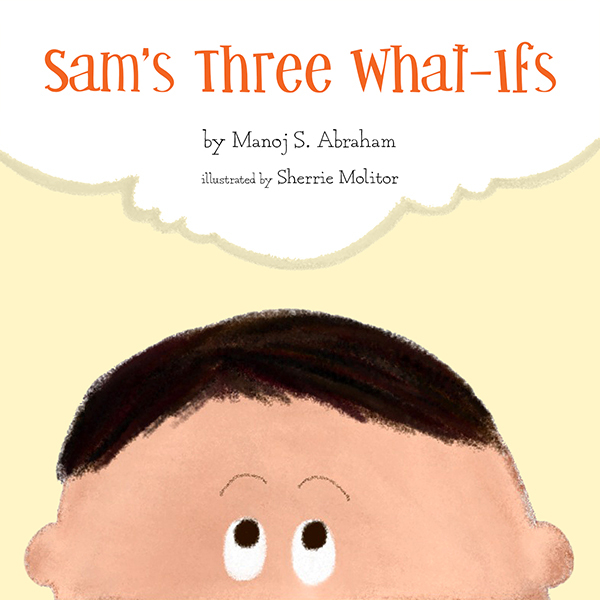 After achieving Bestseller status on the Apple iBookstore, Sam’s Three What-Ifs was chosen by Apple’s Editors as one of their Top 5 titles in their Learning To Read category. Manoj S. Abraham spent the first 20 years of his professional life as a ‘techie’ – managing products and marketing initiatives for software companies. That started to change in 2011 when his son, Sam, was born. From that point on, he began embracing what was once a hobby – writing – as a career. Manoj credits his interest in writing to his father, who encouraged him to take on writing and editing projects from a young age. 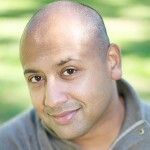 Manoj is inspired by the beautiful moments in life that come without warning or reason. He currently lives in New Jersey with his wife, Kristen, his children, Sam and Maya, and their dog, Sherpa.